ONE OF THE MOST PRESTIGIOUS NEIGHBORHOODS IN CITY SCHOOL DISTRICT. 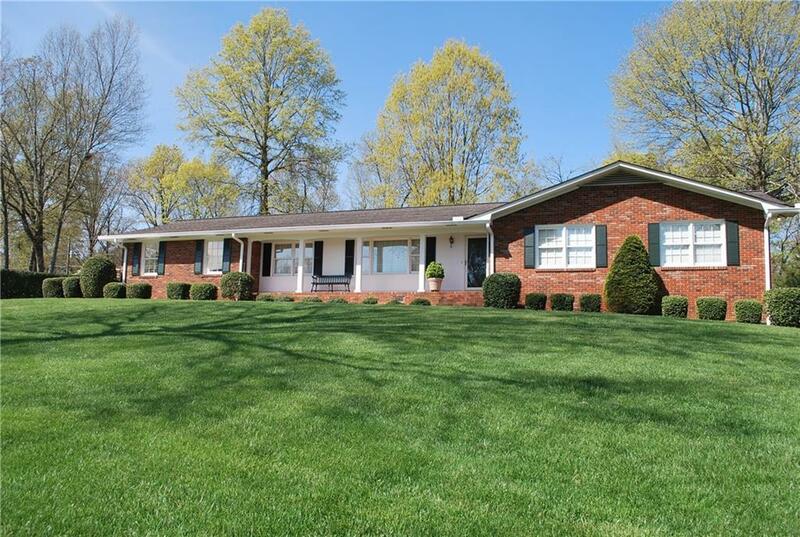 Spacious 4-sided BRICK RANCH, beautifully landscaped w/ large, private backyard. This 4 BR, 3 BA home has formal living & dining rooms, large family room w/ gas log fireplace & built-in bookcase, kitchen/breakfast area overlook backyard plus large, finished basement w/ full bath. This one-owner home has been lovingly maintained. Mature shade trees, privacy hedges, garden & outbuilding. Exterior painted in 2018; HVAC -2015; dishwasher -2015; replaced water lines inside & outside -2013; water heater -2013.